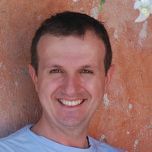 Luca Milanesio is the co-founder of GerritForge (http://www.gerritforge.com) and has more than 20 year of Software Development and Application Lifecycle Management experience. He is contributor of Jenkins CI project (www.jenkins-ci.org), Gerrit code-review (http://code.google.com/p/gerrit/) and co-founder of the Mobile Client project for Jenkins CI (http://www.jenkins-ci.mobi). Luca is an enthusiast developer and contributor of Git and Gerrit; fuelled innovation in large enterprises in Northern Europe and Canada by introducing them in the company code-lifecycle alongside with tools and technologies. He moved to London UK and founded his own company (http://www.lmitsoftware.com) to actively support all the technologies behind Agile ALM, from SCM, issue-tracking, continuous integration and code-review.